Committee member Adam Ryan has crunched the figures and written up a summary of this month’s film ratings. 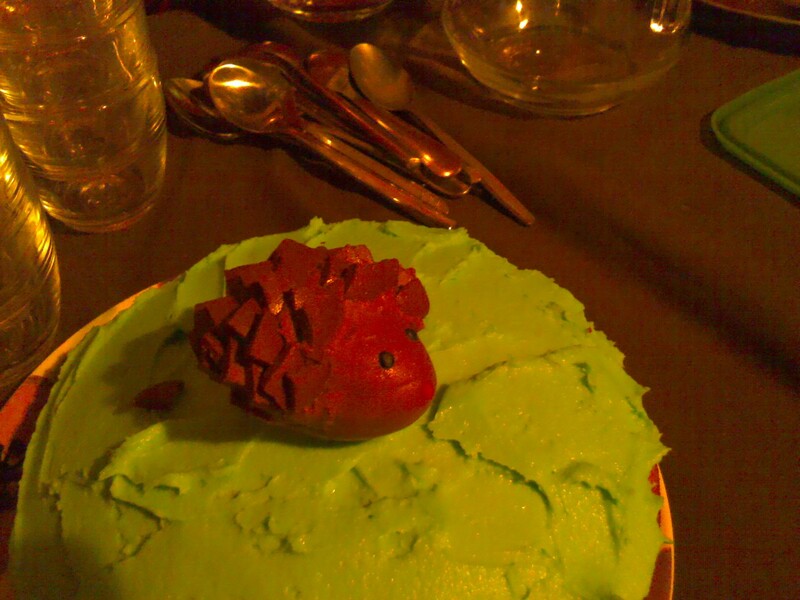 (image of chocolate hedgehog, created by Kelly McKenny (@KelLovesCake). The film is translated as The Hedgehog – see what’s happened there? And so, once again, it is time to announce the much-anticipated Minicine audience ratings for June. This month carried an air of extra excitement, as it was the first event of our new 6-month programme. Expectations were riding high (especially considering the success of last month’s documentary feature Sound It Out), and with the announcement that the British Federation of Film Societies (BFFS) annual awards are now open to nominations we were under a good deal of pressure to perform. Plucked without blinking from the BFFS’s annual conference in 2011 by our very own Mike McKenny, the feature presentation Le Herisson fits the Minicine ethos wonderfully; thought provoking, under distributed and centred around a love of cinema – we just had to snap it up! It seems our hopes were indeed well placed and that our programming is once again bang on the button: with a score of 4.5556 Le Herisson has entered into a dead heat with Sound it Out as our highest rated film ever (in fact if it wasn’t for one 2 Star rating it would have just about clinched the Minicine audience award – were it to exist!). We thought we would face an uphill struggle trying to push your filmic buttons in such a meaningful way after last month, but the indubitably warm, inescapably French charm Le Herisson exudes has undoubtedly won you over. What a start to the new programme! Despite some problems with securing a number of shorts for this month’s programme, it seems Woody has made the best of a bad situation as this month’s rating of the short films were by no means unenthusiastic. This, the first short of the evening, marginally topped the pile. Its heart-warming combination of animation, music and narrative were the perfect way to kick off the night, anticipating the bittersweet tone of Le Herisson beautifully, a fact very much reflected in the consistently strong score it attained across the board. Cassini Mission was the short you rated lowest this month. As to be expected with a film of this sort, the reaction was not only mixed, but predictably polarised – although a score 2.9444 is nonetheless respectable for such a barrage of ominously abstract imagery. Last, but by no means least, is Even Artichokes Have Hearts. While it provoked a very similar reaction to the first short, it seems its uniquely quirky brand of vegetable infused characters alienated just a few too many for it to top the shorts this month. Nevertheless, a fine effort! You can follow Adam on Twitter @AdamRyan1988. Our next film is the beautiful documentary Battle of the Queens. You can buy tickets here, or read more about the film on Adam’s Culture Vulture post here.